Hailed as one of the most enduringly popular works of the twentieth century, "The Wind in the Willows" is a classic of magical fancy and enchanting wit. Penned in lyrical prose, the adventures and misadventures of the book's intrepid quartet of heroes--Mole, Water Rat, Badger, and, of course, the incorrigible Toad--raise fantasy to the level of myth. Reflecting the freshness of childhood wonder, the story still offers adults endless sophistication, substance, and depth. The animals' world embodies the author's wry, whimsical, and unfailingly inventive imagination. It is a world that succeeding generations of both adult and young readers have found irresistible. But why say more? To use the words of the estimable Mr. Toad himself: "Travel, change, interest, excitement ...Come inside." With an Introduction by Luanne Rice. Kenneth Grahame (1859-1932) was born in Edinburgh, Scotland, the third of four children. When he was five, his mother died, and his father sent the children to live with relatives in England. Kindly treated yet emotionally isolated, the Grahame children constructed a world of childhood pleasures. Although Kenneth left that world at the age of nine when he went to St. Edward's School, its memory remained alive, even when he found no equal happiness in his adult life. Lack of funds ended his dream of attending Oxford and forced him to take a position with the Bank of England, where he had a successful career. In 1891, he anonymously published the first of his evocations of childhood, "The Olympians," in "The National Observer." "The Golden Age "(1895) and" Dream Days "(1898) established his fame. 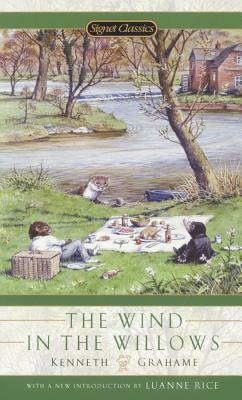 "The Wind in the Willows," written to entertain his son, Alastair, was published in 1908. He wrote little thereafter, spending his remaining years in extensive traveling and in final retreat to the tranquility of the English countryside. Luanne Rice is the "New York Times" bestselling author of more than thirty novels, including "The Lemon Orchard," "Summer of Roses," "Silver Bells," and "Beach Girls." Her books have inspired television movies on TNT, CBS, and Hallmark Hall of Fame and a six-hour miniseries on Lifetime. She lives in New York City and Southern California.